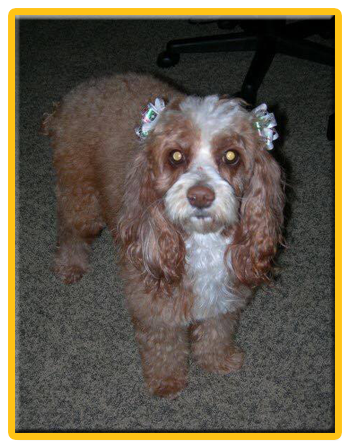 On June 26, 2013 I lost my Rawley girl. 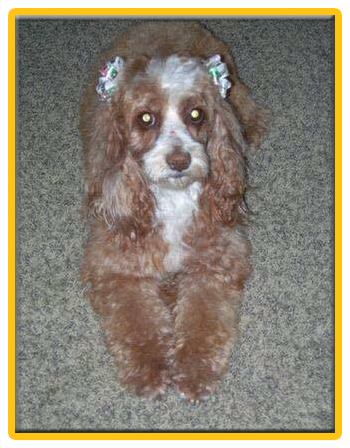 She was an 8-year-old, Cockapoo with a horrible skin disease that several vets over a 2 year period of time could not diagnose. She was living on meds, including steroids. I clearly remember the day when my daughter and I took her into the vet never thinking we would walk out without her. My promise to her was always that I would give her quality of life if not quantity. And so that day came when I was holding her in my lap and the vet said we could try more meds, but no promises. At that moment Rawley looked up at me and gave me the “its ok mom, its time” look. As painful and heartbreaking this was, I knew I had to keep my word to her and I did just that as we lay on the floor together and I told her over and over I loved her. I loved Rawley like she was one of my kids, she was one of the best dogs I have ever owned and not a day goes by--especially now-- that I don’t think of her. My journey in dog rescue began in the latter part of 2013 when I was asked to transport a dog from a high kill shelter to a rescue. For the next 3 years I spent many hours transporting, fostering, and coordinating dog rescues. In October of 2016 I was told to return 3 potentially neurologically challenged dogs back to a high kill shelter. There was no way that I could do this. With the help of my amazing family and friends, I took in these 3 wonderful souls named Laverne, Lenny & Squiggy and started Angels of Rawley Foundation aka ARF. 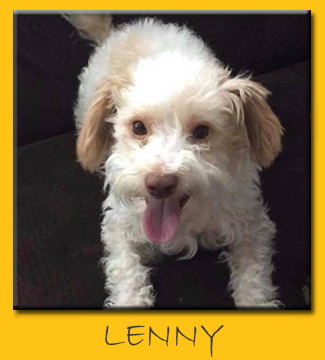 Laverne, Lenny and Squiggy have all been adopted into loving homes and they are thriving and living healthy lives. 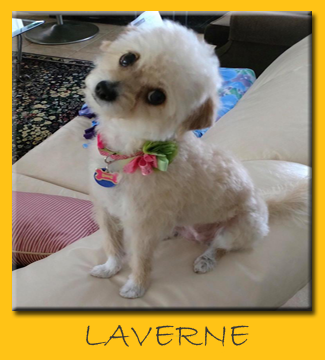 Laverne (still known as Laverne) lives in Fallbrook and she is the only spoiled baby in the home. Lenny (aka Tippy) lives in San Diego and I get to dog sit every now and then when his dad is off coaching professional basketball. 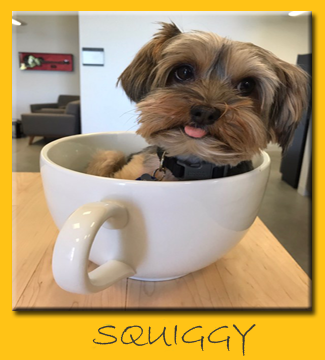 Squiggy (aka Squigs) is also living in San Diego and I am lucky to see him often because his family has since adopted two more dogs from ARF! These three amazing little dogs, have been the “foundation” of why the team at ARF loves to do what we do and save lives, no matter what breed or their needs. I believe that "things happen for a reason” and "timing is everything." I know because of Rawley this is where I am supposed to be and what I am supposed to be doing to carry on her legacy.